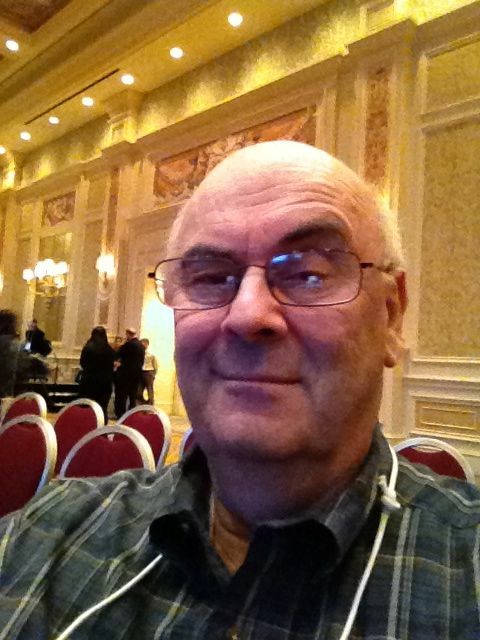 1 Dec 2011: I am on my way back from Las Vegas, where AU 2011 was held. The highlight of the event, at least for me, was the announcement of what I am calling Autodesk PLM 1.0. The announcement was not a well-kept secret, but the content of the announcement was closely held. Monday’s media day preceded the conference. The actual PLM announcement came late Tuesday morning. Carl Bass retracted his oft quoted remark about PLM not being something customers worried about; instead, it was revised to mean “until the technology was right.” I couldn’t agree more with his reasoning. Most of Autodesk’s competitors PLM systems offer expensive, difficult to use, and almost impossible to install PLM systems, that rarely have met expectations. Even then, it is often at the cost of massive consulting assistance, rarely meeting anticipated timeframes, AND generally involves the implementation of substantially revised business processes. Different than my analyst peers I have always been skeptical of such large and costly projects. Not being on the implementation side, I could afford to be skeptical. Many such projects, aside from basic PDM, seldom actually get implemented. Most stall. Autodesk estimates that most deliver only PDM. To test this thesis, I tweeted my followers and asked what they had accomplished. With just a few responses, this is hardly scientific. Several stated that did not yet have even PDM fully implemented! So what was actually announced? The system is being called Autodesk 360. It is based on having locally installed PDM. For mechanical and for AEC this is Vault. Buzzsaw, a cloud based application provides design file collaboration for AEC teams. The third, and new software piece is called Nexus. The dictionary describes the word nexus as a “connector.,” and is a good description of what the software aims to do. In the following discussion I concentrate solely on mechanical PLM. For information on Buzzsaw and how it uses Nexus readers will have to go elsewhere. Try here. 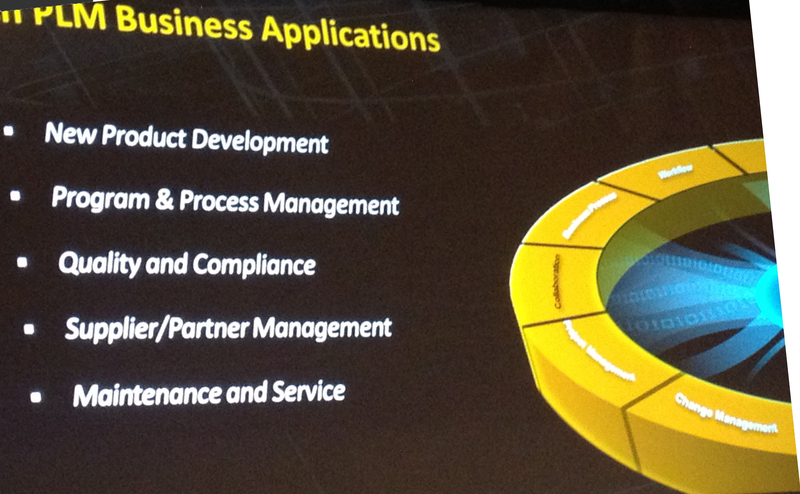 Nexus is cloud based, and comes with 140 or apps. Each app looks like a series of specialized templates, along with customizable (by the user) workflow logic. Delivery is expected by the end of March 2012. No pricing was announced, however, the implications were that it would be modest. It will be sold on a per user subscription basis. All Nexus data and apps will be run in the cloud, using an ordinary browser. The mass of data will remain locally hosted using Vault. Having and maintaining Vault locally solves the issue of loading very large cloud based data while still maintaing some degree of interactivity. How will it interface with Vault and other PDM systems? Very well with Vault. No connectors were announced to integrate with other PDM systems. Autodesk hinted that this is a good opportunity for third party developers and VARs. Connections with Nexus could be implemented via as yet unannounced APIs. 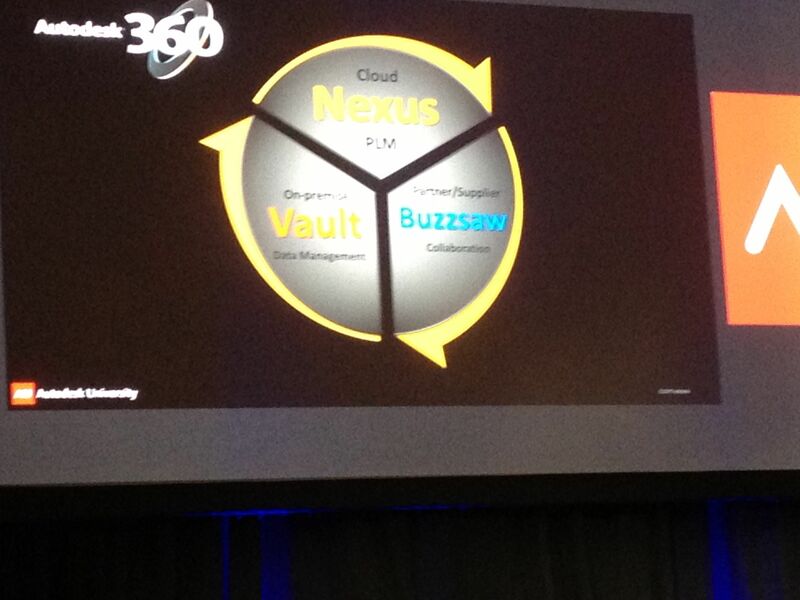 Today, the connection between Vault and Nexus is one way. CAD data cannot be sent from Nexus to Vault. Nor is it synchronized among Vaults, as is done among Apple’s iCloud apps. However, Vault data is automatically synced up to Nexus. Expect bi-directional sync in the future. Is it easy to install and operate? Keep in mind that my total exposure to Autodesk 360 Nexus comes from a 30 minute, main stage presentation, followed by a 60 minute working session where about 20 people per workstation watched a very capable Autodesk developer demo and responded to questions, often by showing us how Nexus would solve the proposed question. Nexus appears to be an out of the box system. Nexus comes with predefined templates and workflows. Yet they can easily be added to and/or modified. Fields within templates (apps) can be defined on the fly and their characteristics (such as numeric, values, dates, etc.) as well. A Visio like graphic interface defines workflows. Many are offered in the starter system. A typical administration system allows assigning users to tasks and roles. Somehow, data fields can be interconnected, allowing visibility to see what drives or is driven by what. I think the product is outstanding. Being cloud based resolves many operating issues. Some users might question the security aspects of hosting much of the data remotely, and would do well to satisfy themselves that either this is not an issue, or otherwise. I think, that perhaps except for very special circumstances, the cloud-based security might even be vastly superior to what they could do locally. I think this is a non-issue. Cost wise, I think this will prove to be much less expensive, long term, than most of today’s solutions. Again, this is a non-issue. Just take a look at the slide Stephen Bodnar of Autodesk, VP of Data Management, presented below that compares some costs for a 200 user deployment. For collaboration, data can be uploaded, either in summary format, or detailed CAD files. Nexus has controls over what user sees what data. Included are project management capabilities that allow rolling up from completed sub-tasks automatically. Defining projects involves defining sub-projects with easily configurable tasks and reporting procedures. If you have already implemented workflow as part of Vault, then is should be redone using Nexus. It allows more flexibility and better visibility. If you want visibility by projects, by project managers and contributors, with flexibility to change workflows and processes to meet how you do business, it’s all there. My only question is how soon can I get it? 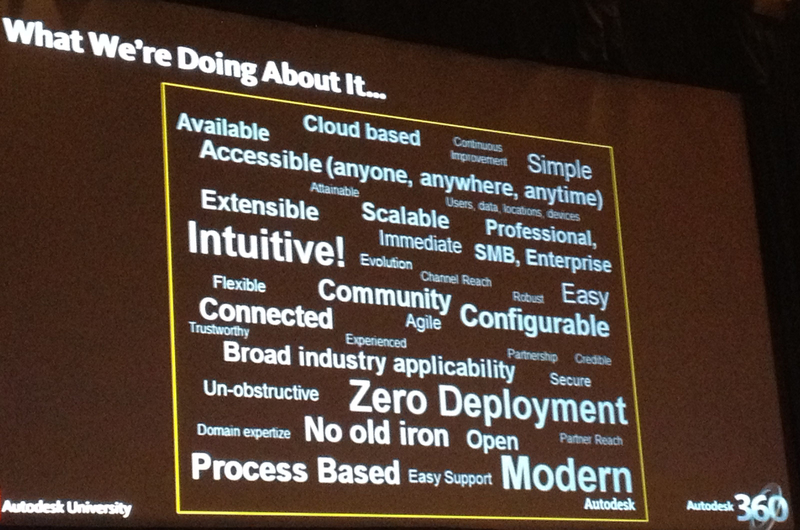 Here are a few slides from the presentation to give you an idea of what Autodesk presented. Sorry for the quality – I used my phone. The overall concept of Autodesk 360. 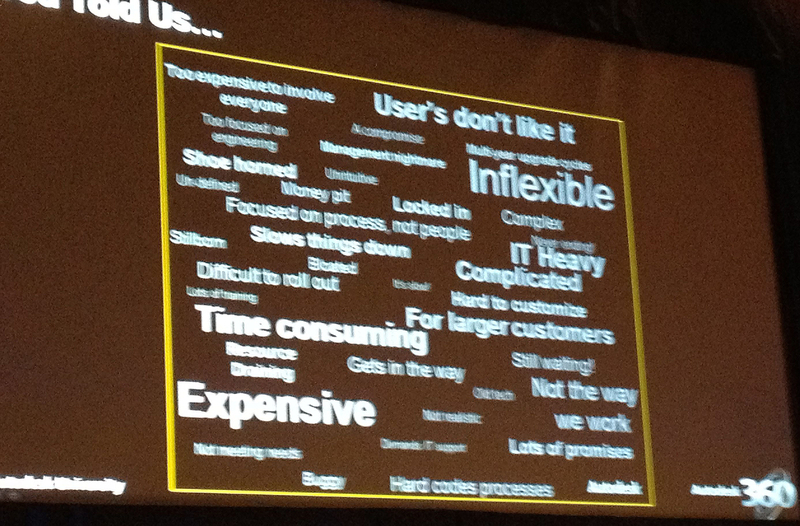 Brenda Discher discussing why users don’t like competitive PDM systems. What Autodesk is doing about it with Nexus. Ray, just wanted to correct you – Buzzsaw is not a local PDM for AEC. Buzzsaw is cloud-based data-management system to support BIM workflows.